Great detail, right? It is at an effective 4000mm focal length using a 5x TeleVue Powermate and yet thanks to the high transmission of the filter I could do a 1/1250s exposure at ISO 400. Apart from stacking with Autostakkert I used Registax 6 for wavelet sharpening and made the color yellow in post-processing (normally the Baader filter gives you pink/purple with a modded DSLR). 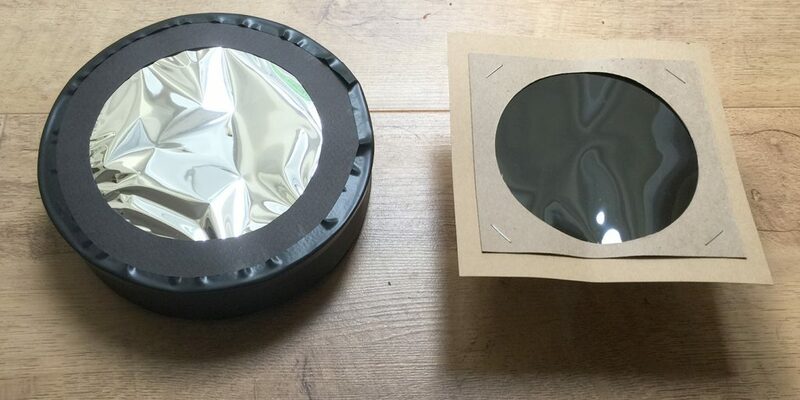 The filter is usually sold in 20x30mm and 50x100mm sheets (at £30-60 usually in the UK, similar in the rest of the world) but, strangely, there seems to be a shortage right now, so your best is to look at ebay – that’s where I got mine. Price update Jan 9 2017: Some price updates. A few impressive price drops, the CEM25 in the UK (£699 from £899), the Orion HDX110 ($3505 from $4499!) and CGEM DX in the US ($1695 from $1999), otherwise mostly price increases in the UK, due to the $1=£0.82 exchange rate. Note Oct 3 2016: After over a decade of listing the HEQ5 as 15kg payload and the EQ6 as 18kg img/25kg visual, Skywatcher has downgraded the capacities of these mounts as 13.7 and 18.2 respectively. To me it looks like a marketing idea to differentiate the more expensive AZ-EQ5 and AZ-EQ6, so I am keeping the listing as it was, at least for now. Update Sept 19 2016: I added the three smallest/least expensive mounts (SmartEQ, EQ3, EQ5) just to be more complete, although they don’t really compete with the rest in astrophotographic capabilities. Prices are updated, mostly the weaker GB pound made some UK prices – especially Vixen – higher (with the notable exception of the CGEM DX which dropped dramatically). I added a separate price graph for UK, it has an extra mount compared to the US graph, as the EQ3 Synscan doesn’t seem to be sold in the USA (you can find it in Canada though). There was a UK store that had a nice table with the basic specs of Sky-Watcher and iOptron which I had found quite useful especially to see at a glance which mount from a company was at the same category with what mount from the other. That page is no longer online, so I thought I’d compile my own table and try to include more and newer mounts. I’ll only include computerized EQ mounts from comparable/high volume manufacturers (under $5000), so no expensive Astro-Physics, Takahashi etc (but you can find all those and more mid-high end mounts on this comparison table here). The specs were mainly lifted from the manufacturer page, except the peak to peak Periodic Error which is shown as a range (and before / after correction values) from various reports (this source was helpful also this and numerous CN threads). Note peak-to-peak error is twice the +/- values that are sometimes used and some extreme cases were not included. Also not included are values of 1-2 arcsec reported for some mounts (iEQ45, G11) with TDM. Payload normally means visual and sometimes I had to choose a source (e.g. Skywatcher and Orion give a bit different spec for the exact same mount). Prices are typical US & UK prices with basic tripod (or pier where applicable) included. 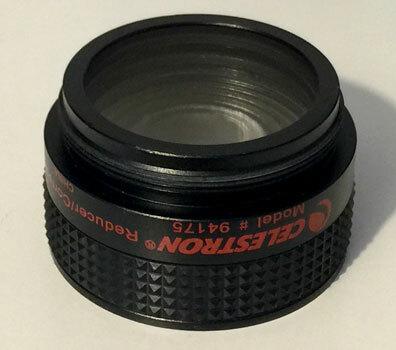 Celestron CGEM DX $1695/£1499 19.4 23 N/A 40000 -1 ?/? iOptron SmartEQ Pro $499/£449 2.8 5 0.5 59000 Yes2 No ? iOptron CEM25 $799/£699 4.7 12 0.14 150000 Yes2 Yes ?/? Losmandy G11 G $3150/£2850 16.3 27 0.14 40000 -3 9-20/? Skywatcher EQ3 Pro Synscan -/£399 4.2 5.5 ? 42000 -4 ? Skywatcher EQ5 Pro Synscan (Orion SkyView) $790/£549 6.2 9.1 0.288 42000 -4 ?/? 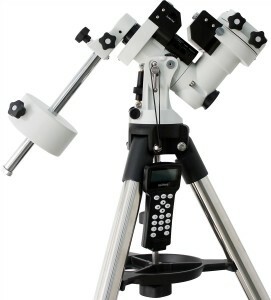 Skywatcher AZ EQ5-GT (Orion Sirius Pro) $1300/£999 7.7 15 0.25 42000 -4 16-40/? Skywatcher EQ8 (Orion HDX110) $3505**/£3289 25.4 50 0.12 42900 -4 6-8/? Vixen SX2 (+SB10****) $2199/£2449 7 12*** N/A 270000 -3 ?/? Vixen SXD2 $2659/£2459 9.2 15*** N/A 270000 Yes2 27/? Vixen SXP $3299/£3299 11 16** N/A 270000 Yes2 ?/? 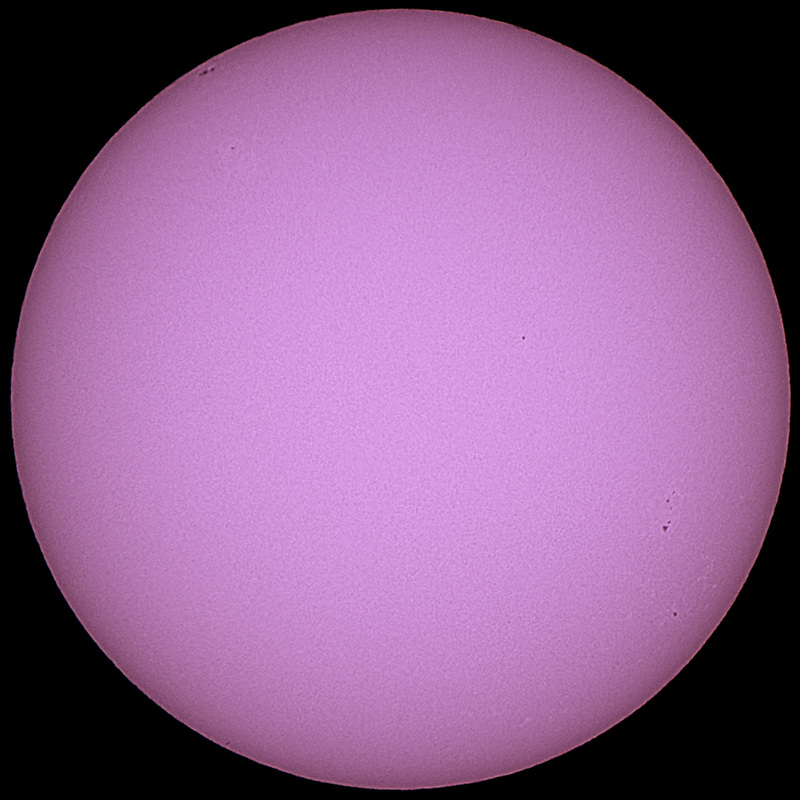 *Orion rates these at 18kg, Sky-Watcher at 18kg imaging / 25kg visual (in the graphs below the average value is used). **The price is with the Pier, as the mount is also sold head-only. ***Vixen rates their mounts for imaging, so they are probably more modest values compared to the rest. ****The SX2 comes with the Star Book One as standard. The Star Book Ten that provides goto is added to the price to match the list’s minimum spec. 2. 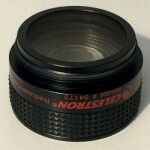 Illuminated Polar scope comes standard. 4. Optional non-illuminated available that attaches externally. A y = x/2 line is drawn and there are actually some mounts that are below it, all from iOptron, meaning they can lift more than twice their weight. The CGEM seems like a disappointing outlier, being the only mount to lift less than its own weight, but it is possible Celestron is being modest about their payload spec. I while ago I made a comparison table for mass-production mounts under $5k and some nice charts with its data. Since I was recently looking at the mid/high end mount category, which is even less straightforward, I thought it would be interesting if I made a similar table. So, this time nicer small mounts like Takahashi and Astro-physics are included, along with observatory-grade mounts up to $15k and 100kg capacity. There’s a Celestron and a Meade thrown in because they didn’t fit the other table, but otherwise this listing contains superior quality mounts and thus things like mount capacity are not comparable the other table, as high end manufacturers tend to be very conservative with their numbers, quoting “realistic” imaging loads. As before, the specs were mainly lifted from the manufacturer page, except the peak to peak Periodic Error which is shown as a range (and before / after correction values) from various reports (this source was helpful also this and numerous CN threads). The table will not tell you which mount to buy obviously, but it should be useful to see at a quick glance what kind of competition there is in your desired category. The prices are current at the posting of this article, but don’t expect me to keep up with price changes, I will only update if the table becomes outdated overall. Gemini G53F $7315/£5849 20 45 Yes Optional ? ? 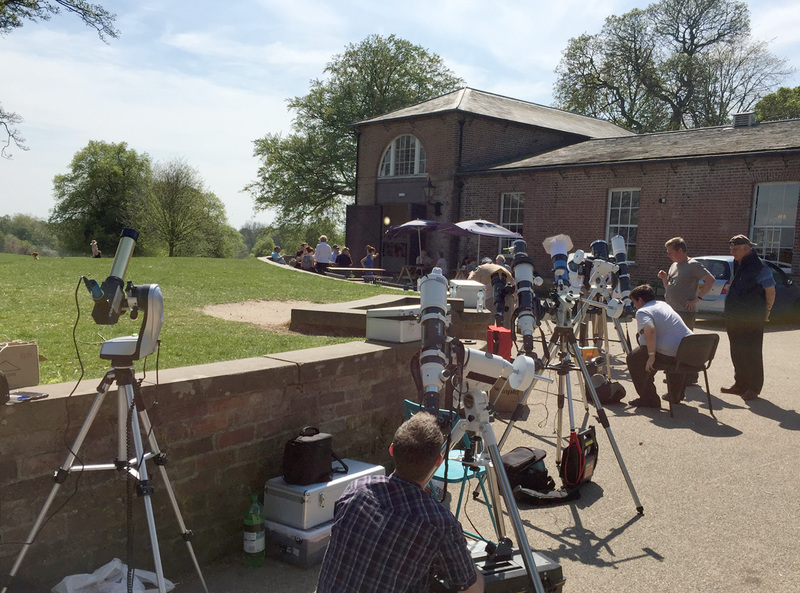 We had an unusually sunny day at Heaton Park on May 9th, so we enjoyed the Mercury Transit along with many friends from the Heaton Park astro group and even more people who where just enjoying their day at the park. One of the most inexpensive accessories you can get for your telescope is the Baader AstroSolar safety film which you can use to safely observe and photograph the sun. 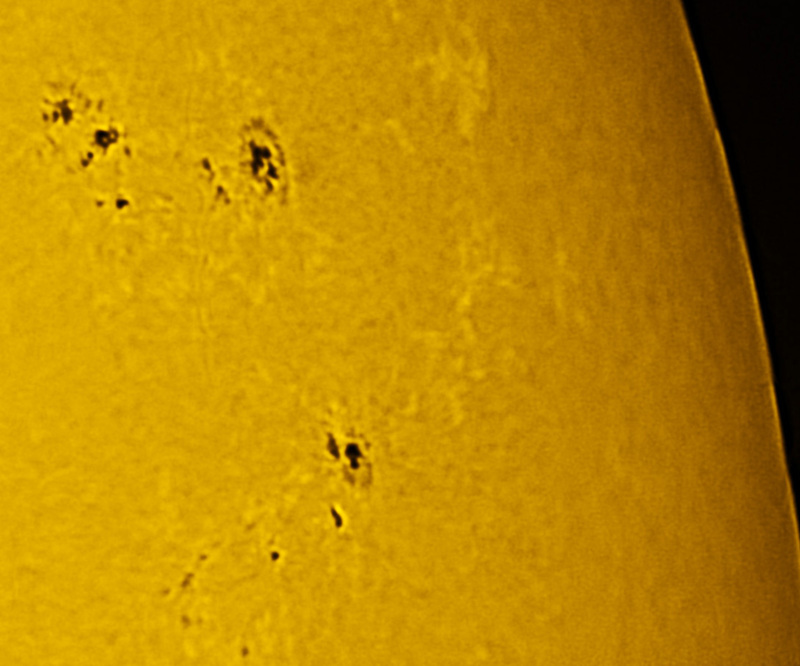 Baader also has the 540nm-pass “Solar Continuum” filter to improve the definition of some solar features, so I thought I’d run a little experiment to see exactly what this filter (which actually costs quite some more than the AstroSolar film) can do for me and also try out some other filters to see whether I can get better results than using the AstroSolar film by itself. Note that the AstroSolar film covering the front aperture of your scope in full is mandatory – a filter alone at the eyepiece side of the telescope is not enough to prevent instant blindness or the destruction of your imaging sensor. 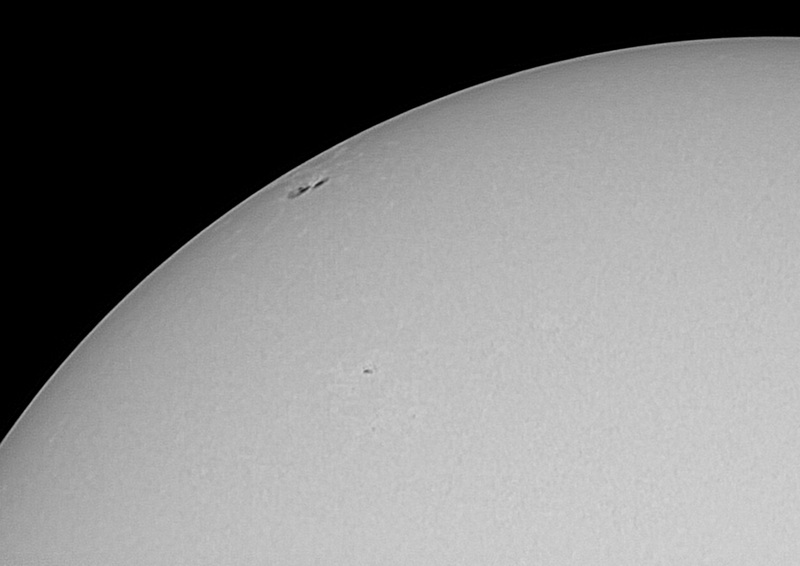 I used my Skywatcher Evostar 80ED with a full-aperture Baader AstroSolar visual film and a 2x barlow with a full-spectrum Canon 600D. 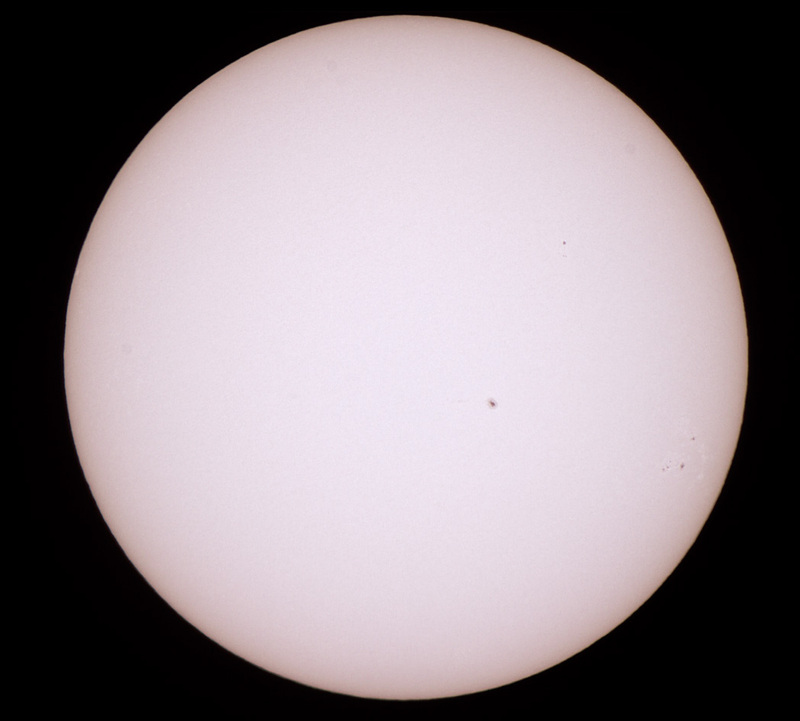 Narrow-band filters like the Solar Continuum would work better with the AstroSolar photo film (allowing shorter exposures), but that seems to be out of stock right now in the UK at least, so if I obtain it in the future I might update the article. In any case, for each filter tested below, I shot a few full frames of the solar disk, of which I stacked 3-4 to reduce noise, and also a short video in 3x Digital Zoom video mode stacking about 250 out of 1000 frames after converting it to grayscale and having the same wavelet sharpening applied to all cases. Update: See how the ZEQ25 compares to the CEM25P update in my latest review. A couple of years ago I got one of the most popular Equatorial mounts for small to medium OTAs, the Skywatcher HEQ5 (known as the Orion Atlas outside Europe). 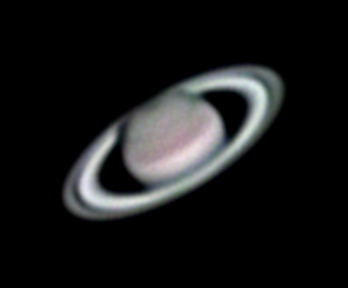 I got along pretty well with it, it was paired mostly with an 8″ Skywatcher 200PDS newtonian which is near the maximum comfortable load. I stored it in a corner of the living room, although I had to loosen the accessory tray, rotate it so that the legs could be contracted to fit it through doors when taking it in or bringing it out of the house. At around 15kg for mount & tripod it was near the limit of what I would personally call portable. Then, last year, as I was considering upgrading my mount to the pro version, I started reading about the iOptron ZEQ25. Apparently, iOptron are relatively well known and popular in the US, but have only recently started becoming known in Europe. They have some “traditional” German equatorial mounts (the iEQ line), but also the “Z” or “center balanced” equatorial mounts ZEQ25 and CEM60. The latter are supposed to have the advantage of an increased load/weight ratio and a permanently unobstructed polar scope. In fact, the “small” ZEQ25 has a maximum load not far from my HEQ5, while being significantly much lighter. And this is the main reason I got it. I thought that a smaller, lighter mount would allow me to take it out more often and if I wanted to do astrophotography it would be well matched with a small apo refractor, making a very portable package. For more pics and the how and why of the session and the timelapse, read on. The not so young amateur astronomers like myself who were aware of how difficult and demanding planetary photography was in the “old days” (i.e. 20th century) are pretty amazed at what you can achieve nowadays with equipment as simple as a webcam. Granted, most of the “magic” lies in the software processing that stacks hundreds of mediocre frames in a video to produce a sharp, detailed image of a planet, however the hardware is still important. So, after experimenting with their webcam, people want to try something better. 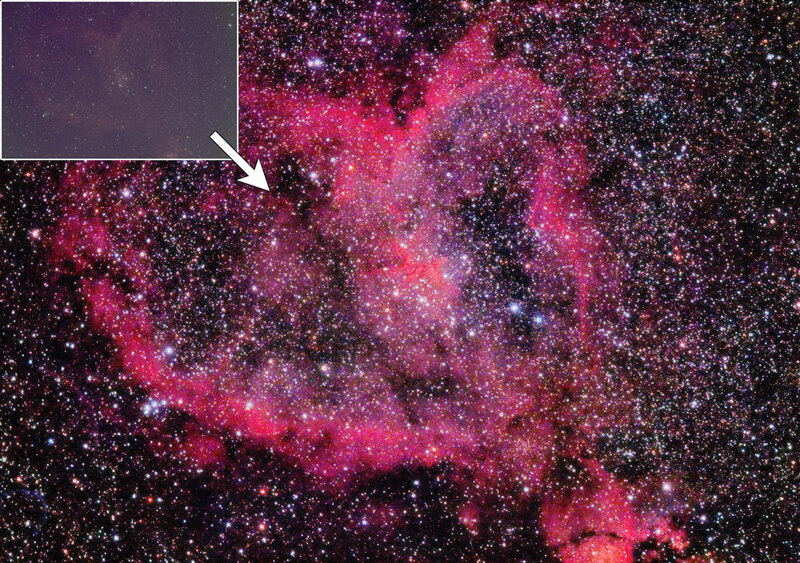 Specialized planetary/guiding cameras are the obvious choice, however people put in good use less expensive solutions, like putting the LiveView-capable DSLR they already have in planetary use, or re-purposing an Industrial/Machine Vision camera. I happen to have gone through all these categories and thought about putting all my imagers to the test to see what you can expect from each. From left to right: Canon 450D, Xbox Vision, QHY5L-IIm, Point Grey Firefly MV, Logitech Quickcam Pro 3000, Canon 550D. A Canon 600D was obtained last minute, so it is missing from this photo. There is a new link on the left that says “AstroBuySell Alert” that should be useful to UK and Canada users looking for 2nd hand equipment. Just set up an alert for something you are looking for, and the alert service (currently in beta test) will send you an email when something appropriate comes up!